Under normal use, a chainsaw tends to start loosening and sagging. This can lead to the chain jumping off the guide bar- a bizarre situation!Each time you use a chainsaw, therefore, you’re always advised to check the tension. The chain ought to have a slight give whenever you pull it. But the drive links situated below the sharp edges of the chain should always remain engaged within the guide bar. You’ll see a tension screw located just next to the guide bar. Use this nut to adjust your chain tension. If you turn the screw clockwise, you’ll tighten the chain. And if you turn it anticlockwise, you’ll loosen it. But you should be careful not tighten the chain too much as this is likely to break the chain.Most of the cordless chainsaws on the market today come with a hand dial located at the bar base. This makes chain tightening process much easier. A correctly tensioned chain ought to be a little bit loose when resting on the guide bar. However, the chain should be tight enough such that you cannot pull the drive links out of bar nose. To confirm whether it’s necessary to adjust your chainsaw chain tension or not, simply pull away the chain from the guide bar a little. What happens? Do the drive links remain engaged? If yes, you don’t need to make any adjustments- your cutting machine is ready to go. Detecting a loose chainsaw is also simple. You just need to pull the chain away from the bar a little and see what happens. If the drive links are disengaged from the bar, that’s a clear sign that you need to tighten the chain up.Under the topic wrong tension, there’s also over tightening of the chain which isn’t too good for your machine. If you notice that your chain drive links do not live the bar a little bit when you pull it, you might have applied too much tension on the chain.As soon as you note this, make sure you reduce the tension to prevent possible breakage of your chain. Although the tightening process is pretty simple and takes only a few minutes, it’s important to perform each of the steps explained below carefully. 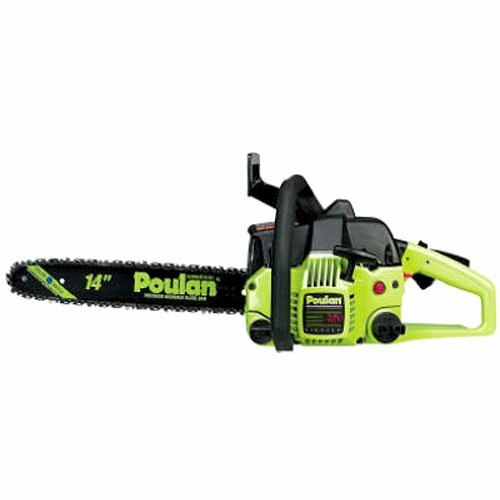 Forgetting to do a simple thing might significantly affect your tool.Most chainsaws are accompanied with wrench/screwdriver which matches the side plate bolts and the size of the tension adjustment screws. Loosen the bolts located on the side panel of your guide bar. This will allow you to create room for the chain as well as the guide bar for easy adjustment.Some chainsaw brakes are directly attached to the side panel. If that’s the case, ensure you unlock the brakes before you remove the side panel. Adjust tensioning screw. These screws are situated to the side of your chainsaw guide bar. To tighten the chain, you simply tighten this bolt. And to loosen the chain you simply loosen the chain. Afterward, double check your chain to ensure it has achieved the correct tension level. Now tighten the nuts for the guide bar side panel. When tightening these nuts, it’s necessary to lift the nose of your chainsaw to avoid malfunctioning of your machine. It’s that easy- determining the correct tension of your chainsaw tension and tightening it correctly! Given that a loose chain is quite dangerous, always ensure you check the tension state before you start your work. Also, be sure to check it before you store it. While still at it, avoid over tightening your chain as this could lead to breakage- another critical incident that will also require you to buy a new replacement chain.